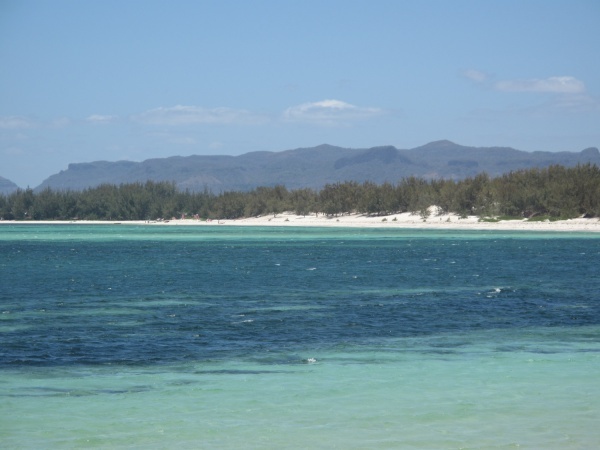 Sakalava Bay (Baie des Sakalava) is a popular destination for windsurfing and kitesurfing located approximately 16 kilometres from Diego Suarez on the northeast coast of Madagascar. Sakalava Bay is easily accessible by car. Coming from Diego Suarez, after ten kilometres there is a junction at the small village of Ankorikakely (respectively eight kilometres from Ramena) from where an unpaved sandy road leads another six kilometres to Sakalava Bay. Alternatively it is possible to walk to Sakalava Bay from the village of Ramena via Baie des Dunes and Baie des Pigeons. This nature walk takes between 2.5 and 3 hours. The beach at Sakalava Bay is several kilometres long. On the far south side mangroves are growing. The area around a rocky islet is best suited for kite and windsurfing. During low tide sandbanks emerge in the bay. A trail leaving from the north side of the beach leads to two unnamed beaches, of which the second one is the most beautiful. 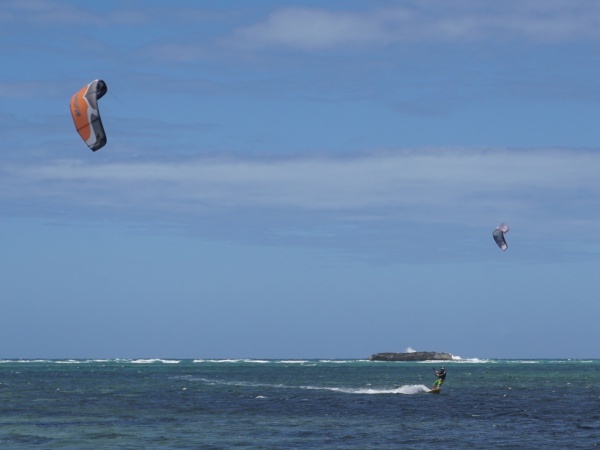 There are currently three kitesurfing schools with accommodation directly on the beach of Sakalava Bay: Sakalava Lodge, Royal Sakalava and KiteParadise. Additional schools such as Mada Ocean Kite & Windsurf and La Case en Falafy Kitesurf with accommodation in Ramena. Next to the hotels are small local restaurants, offering basic meals such as seafood and coconut rice to visitors of the beach. Blown away: Kitesurfing in Madagascar By Jonathan Lessware / The National (UAE), 3rd December 2010.